This quote is so poignant, especially when it comes to approaching challenging asanas such as Dwi Pada Koundiyasana. 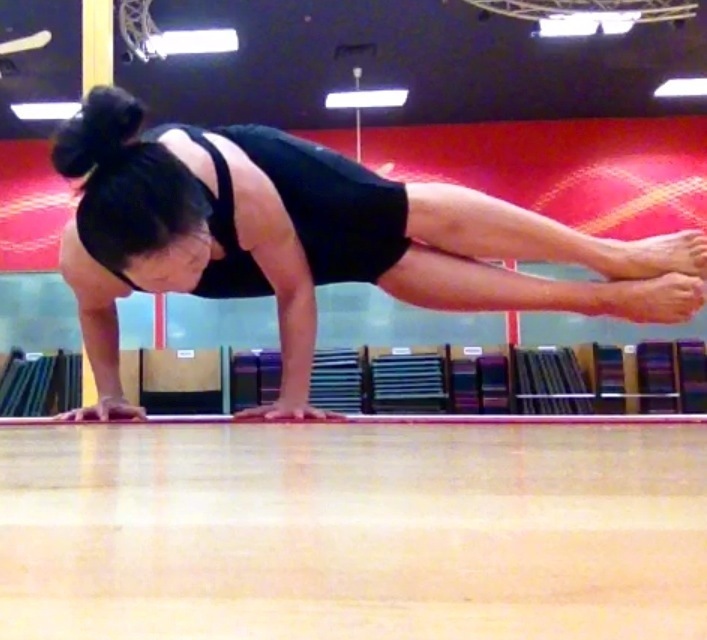 This pose will require strength in your arms, shoulders, chest, core, and back. There is also deep spinal twisting; use of hips and finding your dristi. 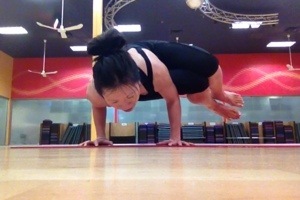 We enter this pose via Parsva Bakasana (Side Crow). Feet together, come to chair twist. Then squat lower. Hands are shoulder width and knees will face the other way. Make sure your elbow is as far up in your thigh by your hip as possible. Draw your inner thighs together as you shift your weight in your arms. Dristi, gaze forward and find your balance. Once you’re there, extend your legs coming to Dwi Pada Koundiyasana.